To date he hasn’t shown even the slightest interest in stuffed animals. 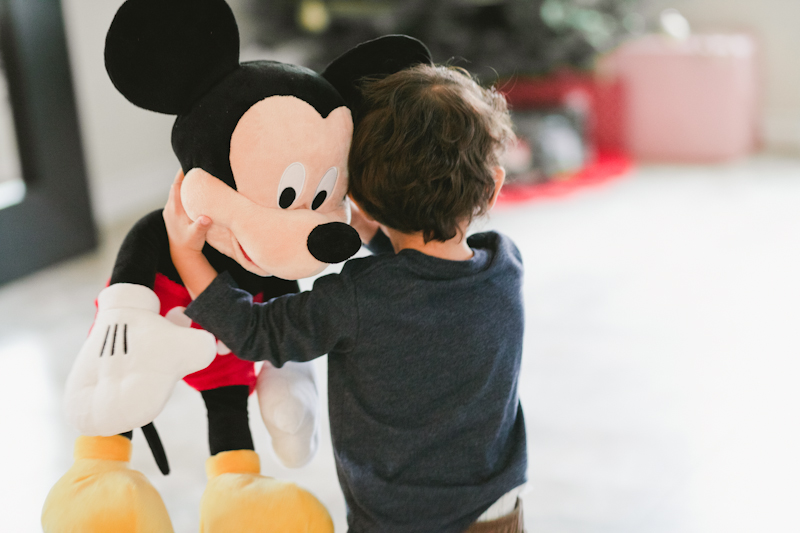 When I spotted this Mickey toy, I had a feeling he would adore it. Turns out, he can’t get enough of it, and carries it around constantly, always tucked closely against him. It was meant to be a Christmas present, wrapped under the tree. I’ll give him just this one early.